This is good news. I've always been critical of using the term "4G" to describe tech that is certainly not 4G, even when it's done by carriers that I otherwise like. In this case, I have no issues with an LTE device being called 4G, even though it should technically be "3.9G", but since LTE bands are scattered all over the place, it is indeed misleading to call it 4G outside of the US. However, I'd like to see Apple go a step further and clarify what frequencies it supports. 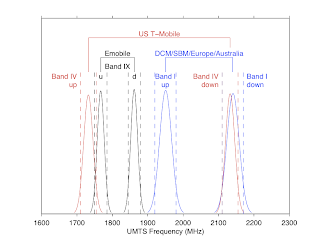 As is, this will cause confusion in Japan because the term "LTE 2100 MHz" could result in people thinking the international unlocked version would be compatible with Docomo Xi LTE 2100 MHz (Band I) network. 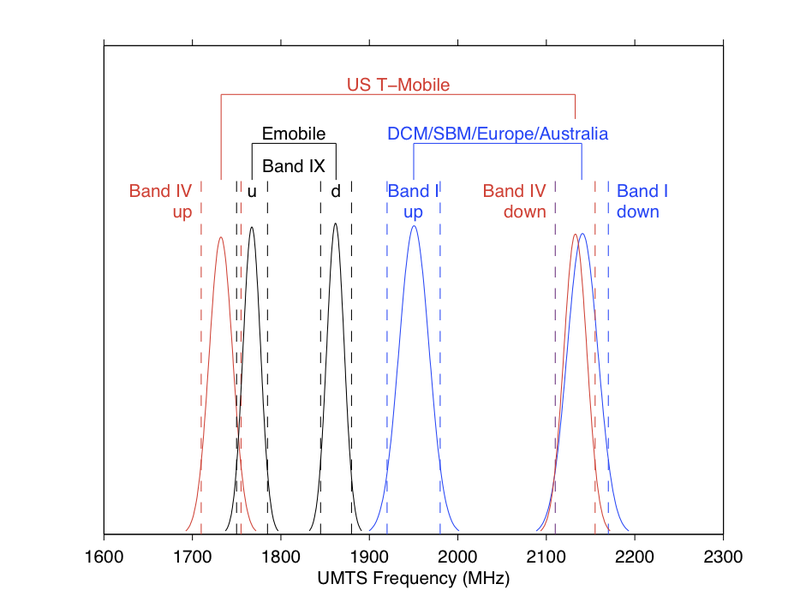 It would appear that Apple is using "2100" to refer to LTE Band IV. The more correct term would be AWS (though Apple certainly isn't the only entity to call AWS "2100"). The below image is referring to 3G, but the bands are the same. For LTE, replace T-Mobile with AT&T. There is overlap on the downlink only. The Federal Court has accepted an undertaking from Apple Pty Limited in response to an urgent application filed by the Australian Competition and Consumer Commission (ACCC) earlier today. The ACCC has alleged that the promotion of the "iPad with WiFi + 4G" by Apple Pty Limited and Apple Inc is misleading because it represents to Australian consumers that the product "iPad with WiFi + 4G" can, with a SIM card, connect to a 4G mobile data network in Australia, when this is not the case. A directions hearing has been scheduled for 16 April 2012 at 9:30am. A mediation has been ordered for 18 April 2012. A hearing on liability has been set down commencing 2 May 2012.